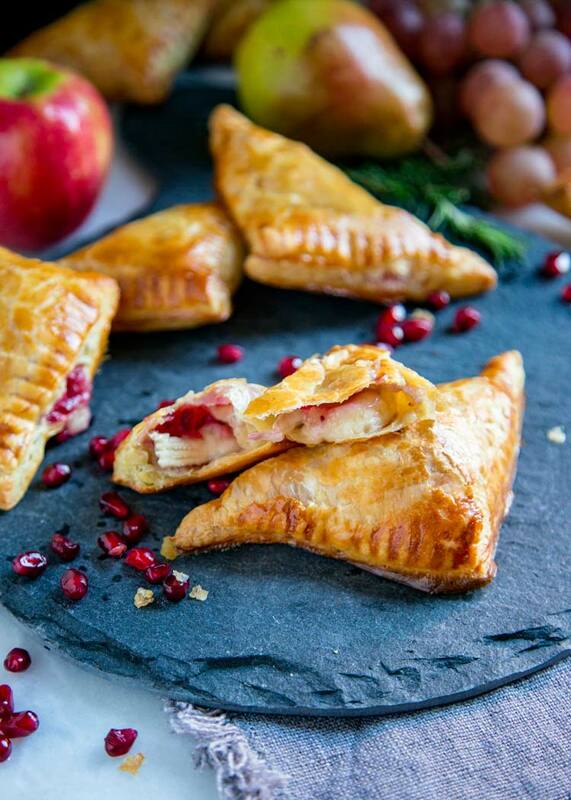 These tender Cranberry Baked Brie Bites are super easy to make using puff pastry, dijon mustard, Brie cheese, cranberry sauce, or your favorite jam. Great holiday appetizer or anytime snack! 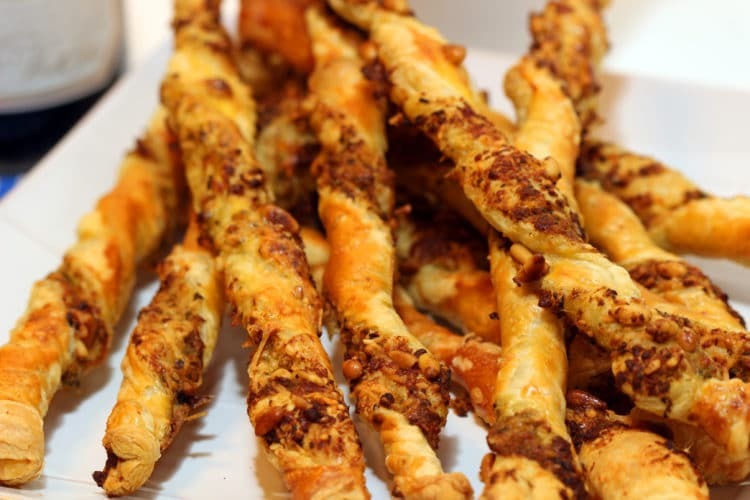 I love handheld appetizers and when made with puff pastry they’re even better. 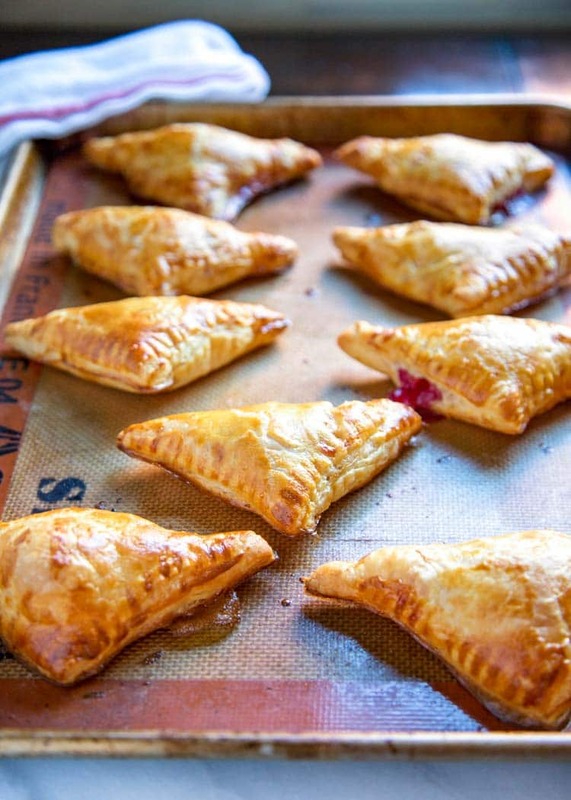 Take these Cranberry Brie Pastry Bites for instance. They may look like you spent on a lot of time making them, but you won’t and they can easily be made ahead of time and frozen. You’ll spend less time in the kitchen then you think and more with your guests. It’s already Fall again and Thanksgiving is around the corner. Puff pastry always works for me when time is crunched and a tasty appetizer is needed. 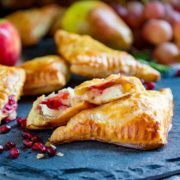 These are super easy to make using puff pastry, dijon mustard, Brie cheese, cranberry sauce, or your favorite jam, and these come together in no time. I made my own cranberry jam for these, but you could easily use any fruit of choice or jam for a really quick version. What’s your favorite holiday fruit? Mine is definitely cranberries. I buy about 6 bags of them to freeze so I can enjoy them year round even! But, I digress, so back to these Baked Brie Bites. You can see how easy these are to eat in my new video below. I prefer a small, handheld appetizer than one I have to keep going back to the table for and dipping away. 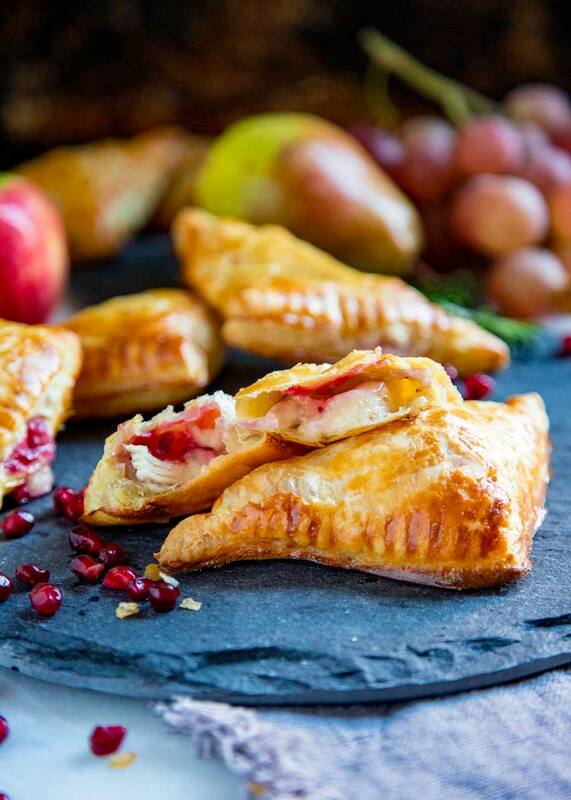 With these Cranberry Brie Pastry Bites you get it all in one or two bites. I figured individual bites work better than having the entire wheel of Brie cheese wrapped with puff pastry. No fighting at the appetizer table needed. Set this up on a table and surround with sprigs of fresh herbs, fruit like pears and grapes, too. Tender flaky puff pastry dough, ooey gooey cheese offset with a sweet and tart cranberry sauce and a nice savory counter from the dijon. 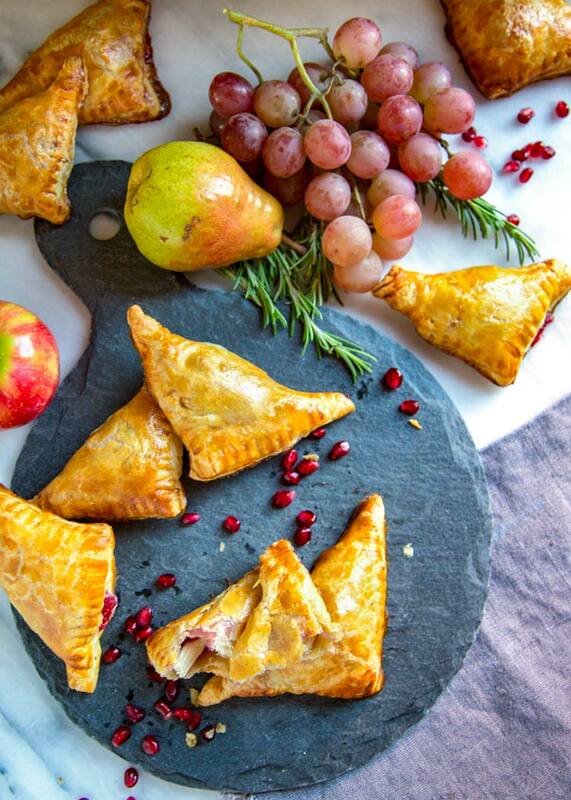 These Baked Brie Bites have it all. 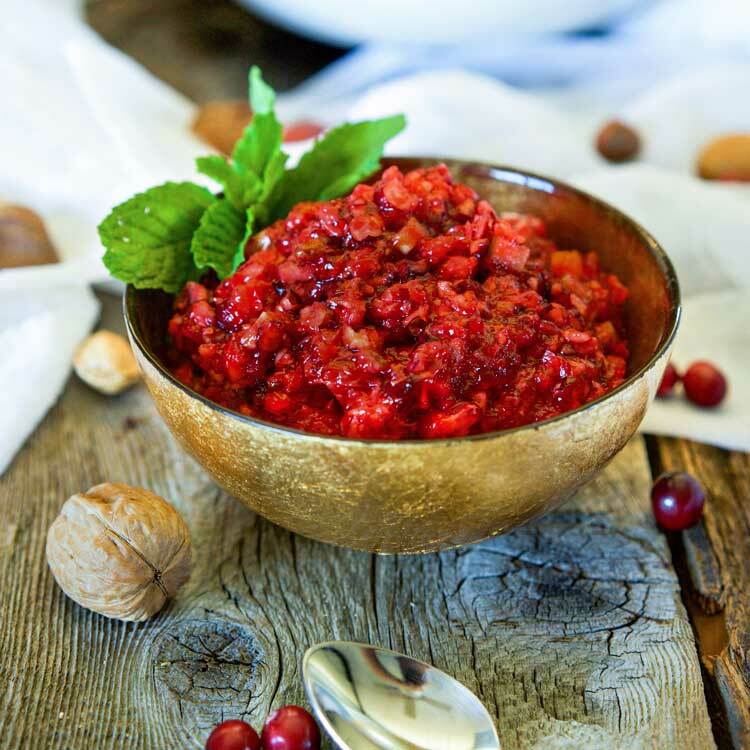 I make my own cranberry sauce, like the one for my Roasted Stuffed Pork Loin, because it’s so darn easy, but feel free to use your own, store bought or any jam you like to suit the occasion or season! For other puff pastry ideas, try my Individual Beef Wellingtons, Pesto Black Pepper Pancetta Breadsticks, Maple Pancetta Cheddar Cheese Tart, Pineapple Ham and Cheese Hand Pies, Cheddar Bacon Jam Puff Pastry Bites, or these Apple Peanut Butter Tarts. Enjoy! This recipe was first published here on Kevin Is Cooking in December 2017 and has been updated with a new video. 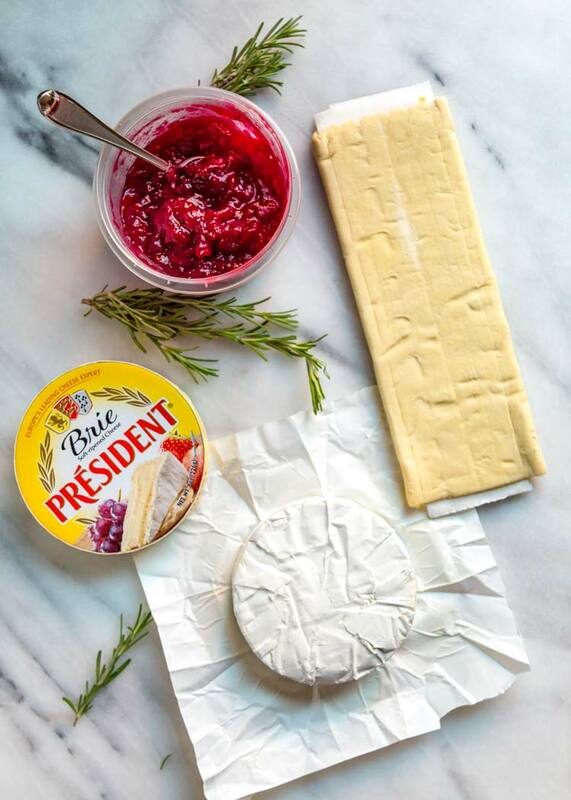 These tender Cranberry Baked Brie Bites are super easy to make using puff pastry, dijon mustard, Brie cheese, cranberry sauce, or your favorite jam. Preheat oven to 400ºF and line two baking sheets with parchment paper or Silpat baking sheets. Slice the Brie into 18 wedges. I cut the wheel of cheese in half, then each half into 3 pie slice shapes and each pie slice shape into 3 pieces. Repeat with other brie half. Using an open hand gently press down each piece or cheese to flattened slightly (or the sharp edges will poke through pastry). Set aside. Unfold each puff pastry sheet on flour dusted work surface. Roll out to create 12"x12" square. Using a pizza cutter or knife cut each sheet into 9 squares. Place each puff pastry square on baking sheet Dip finger in small bowl of water and brush outside edge of each puff pastry square. 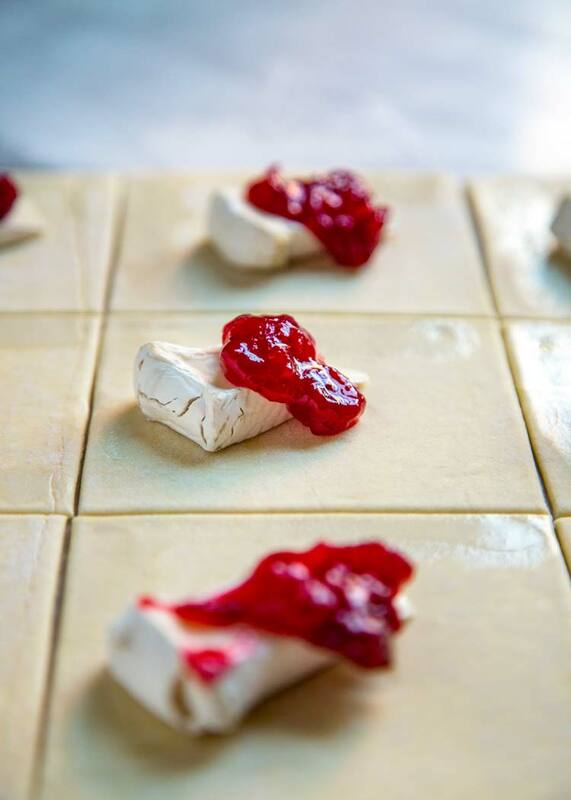 Brush pastry square center with mustard then place a wedge of Brie on top then a dollop of cranberry sauce or jam on top of the cheese. Repeat for all 18. Fold each puff pastry over the cheese so that the two corners of the squares come together to form a triangle. Using a fork, crimp together the edges to seal. Whisk together the egg and milk then brush the puff pastry triangles. Bake for 15 minutes or until golden brown. Remove from the oven and allow to cool for 5 minutes before serving. In a sauce pan bring the water, sugar and cranberries to a boil. Reduce heat and add the orange extract. Stir often and allow to break down and thicken on low heat for 15 minutes. Set aside. Sauce will thicken as it cools. I refrigerated this before I used it in this recipe. Thanks for sharing this! 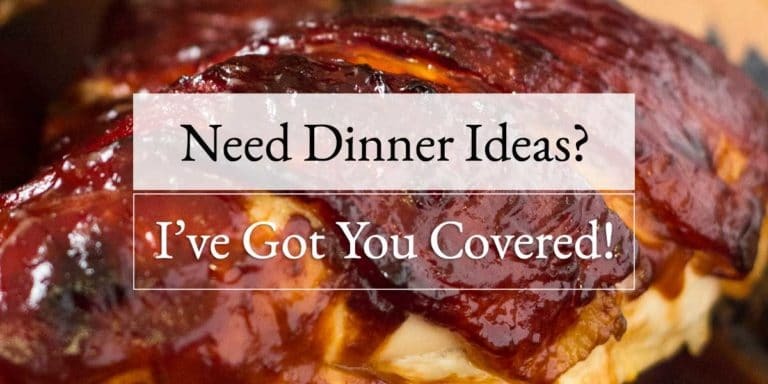 I absolutely love that you added Dijon Mustard! Can’t wait to make these. What a fabulous party appetizer, Kevin! 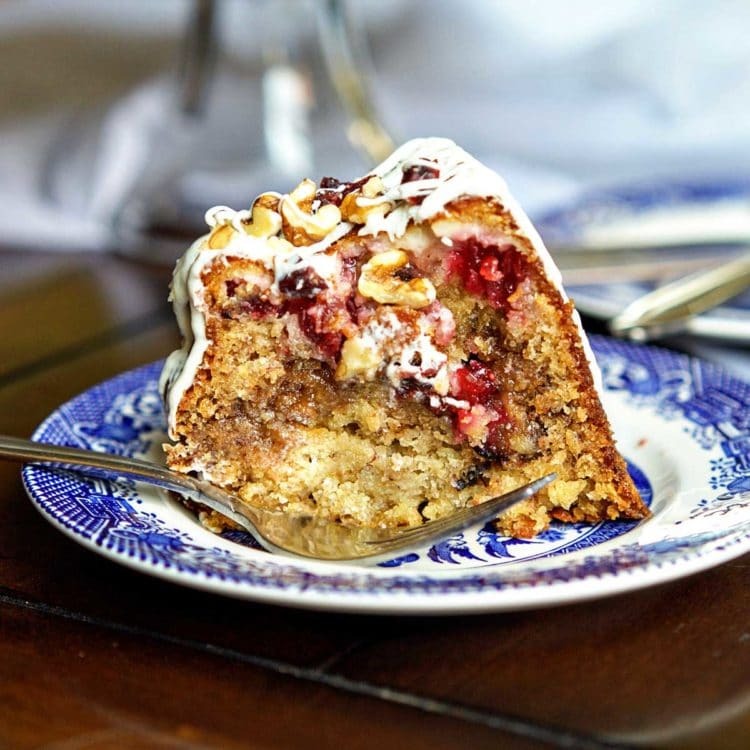 And so easy…bookmarking this one for the holidays! Such a great little appy for the upcoming holidays Kevin! Bet they go quick! THESE are beautiful. And you say they freeze well? Do you mean after they’re baked? I really dislike when puff pastry gets mushy, which is why if I do serve it, I bake whatever at the last minute. I like your jam, also. Swoon. These look like flaky, cheesy perfection. 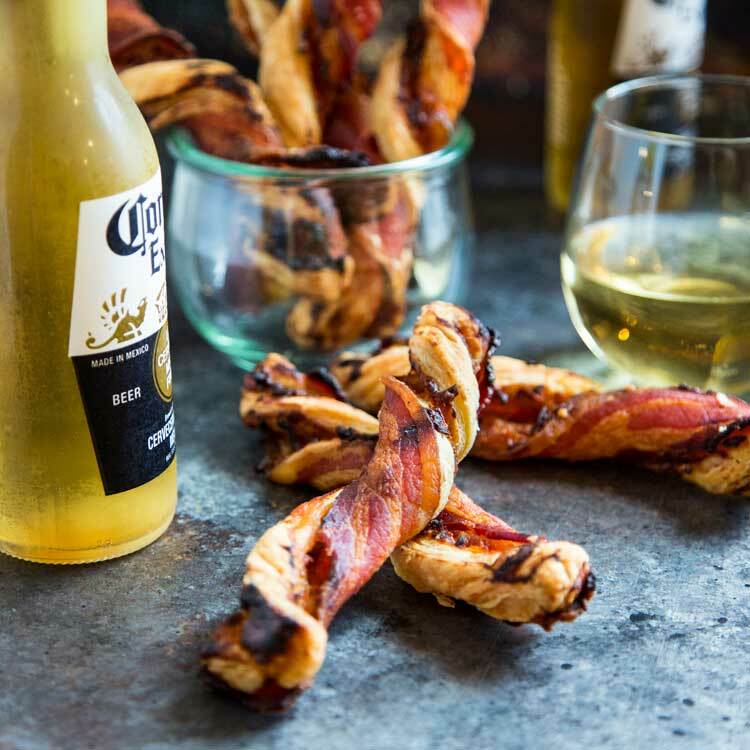 Would be perfect to add to the gameday spread! A big YES to puff pastry any day! Such a delicious way to crunch into the New Year. Happy New Year to you both!! Thanks so much John and yes, Happy New Year to yo u guys. Cheers! I like little bites like this and these are perfect to celebrate the New Year. Wishing you all the best in the coming year. Thanks so much Karen, Happy New Year to you and yours!